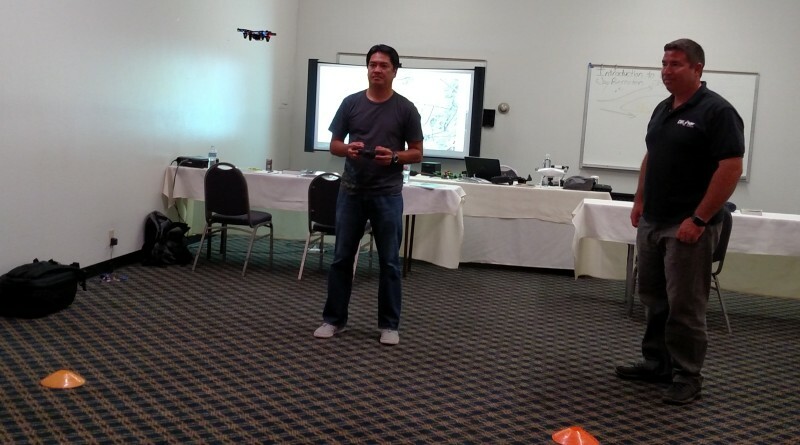 Jay Bernstein, right, teaches a student how to fly a small drone during a Drone Universities class held in a San Diego conference room. Did you know that most of San Diego Bay and Mission Bay Park is off-limits to drones? That you’re barred from flying drones within 5 miles of U.S. airports without prior air traffic control notification? That it’s illegal to fly them over people or beyond your range of visibility? Or that it can be dangerous to grab a flying drone before it lands? If you’ve been wowed by videos you’ve seen shot by drones from moving boats and are eager to jump in, please step back and do your research before rushing out to buy a drone and flying it from your boat. Acquiring essential knowledge beforehand can not only save you buckets of money on drones lost crashing into rocks or plunging into water, but also can give you the skills to avoid serious injury. Recently I reconnected with an old friend, Jay Bernstein, who’s a yacht broker turned professional drone pilot and instructor for Drone Universities. 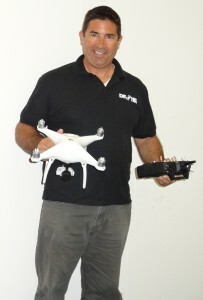 Last year he co-founded Clarity Aero, specializing in aerial cinematography and photography, with journalist Gary Buzel, who flies the first television newsgathering drone in San Diego. Last week we got together to talk drones and boats. Like many drone pilots, Bernstein’s background is in aviation. A lifelong sailor, before becoming a yacht broker he’d earned his degree in aviation and worked as a flight instructor and pilot recruiter. I’d long admired his beautiful boat photographs and wasn’t surprised drone photography had captured his imagination. It’s still the Wild, Wild West in drone-world, according to Bernstein and Buzel, but regulatory and operational order is gradually arriving. On Aug. 29 the Federal Aviation Agency debuted simpler, streamlined regulations for drone use by both hobbyists and professional pilots. Be sure to download the FAA’s free beginner-oriented smartphone app, B4UFLY, which uses your GPS location to provide real-time information about airspace restrictions and other useful flight information. More sophisticated apps Bernstein recommends include Airmap, Skyward, Hover and, his favorite, the professional-oriented Foreflight. In clear language the FAA website lays out basic rules for both amateur and professional drone operation. There you’ll learn that hobbyist operators do not require a pilot’s license, and that all drones must be registered with the FAA, which can be done online for a $5 fee. Operating a drone on land requires skill and knowledge developed through practice, Bernstein explained. Boat operation requires far more expertise. One of the challenges in operating a drone from a moving vessel is that, unless you know how to set the drone to adjust for vessel movement, it will automatically return to its original launch point, likely your former water location. You need a broad open deck for safe landing. And should you try to catch a drone mid-air, you risk losing your fingers on the twirling rotors, he warned. “It’s important to master your craft before you go to operate it in an unforgiving environment on a boat,” Bernstein said. The best way to learn to fly drones is to join the Academy of Model Aeronautics (modelaircraft.org). “Get familiar with the controls in a safe space without a lot of people around. The great thing about AMA is there are lots of people with great experience they’re willing to share. They offer a safe place to practice,” he explained. With patience and practice you’ll soon be able to fly your drone safely from your boat. Capt. Nicole Sours Larson has spent more than 25 years boating in Southern California and Mexican waters as well as throughout the East Coast's Chesapeake Bay. A freelance writer, she holds a USCG captain's license and has been writing about boating since 2009. Previously she lobbied on boating safety and education issues for boating organizations at the federal, state and local levels. Additionally, Mapbox.com /drone/no-fly/ shows a drone no fly zone that includes most of San Diego including all of Coronado, all of Mission Bay and into Chula Vista that is off-limits to drones as part of proximity to military installation restrictions which includes Marine Corp Air Station Mira Mar. Map provided by FAA.